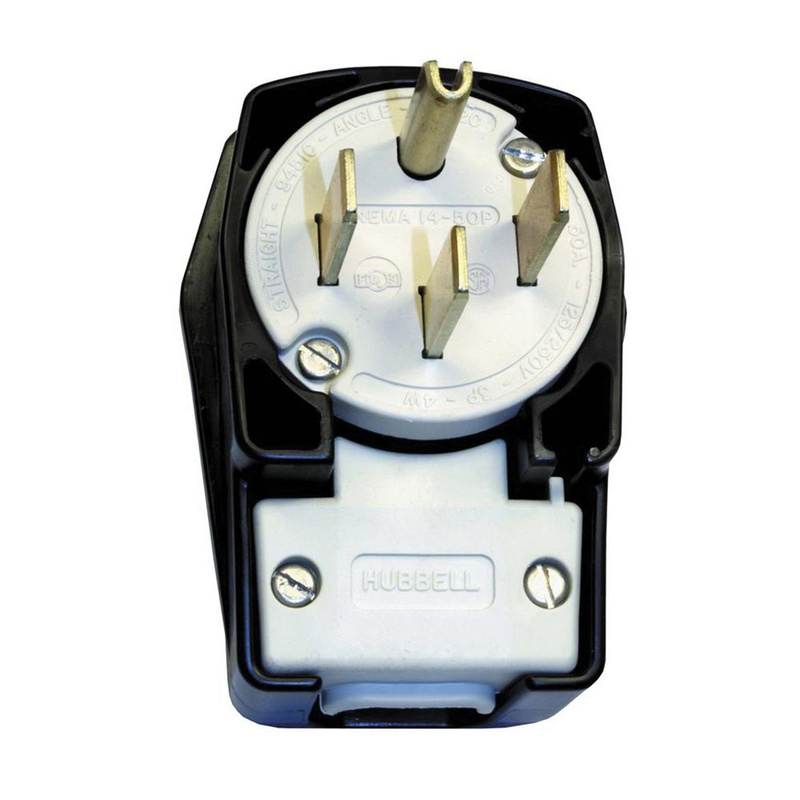 Hubbell-Wiring Insulgrip® 3-Pole 4-Wire 4-Position angled blade plug in black/white color, has nylon housing and brass conductors for reliability and durability. It has voltage rating of 125/250-Volts and current rating of 50-Amps. Plug employs lower profile design to save space by allowing the equipment placement close to the wall. It has power rating of 3 hp. This grounding plug with screw terminal connection, accommodates 0.625 - 1.31-Inch cord of size 12 - 4-AWG. It measures 4.5-Inch x 3.38-Inch x 2.37-Inch. Plug with 14 - 50P NEMA configuration, withstands minimum dielectric strength of 2000-Volts. It has IP20-degree of protection. 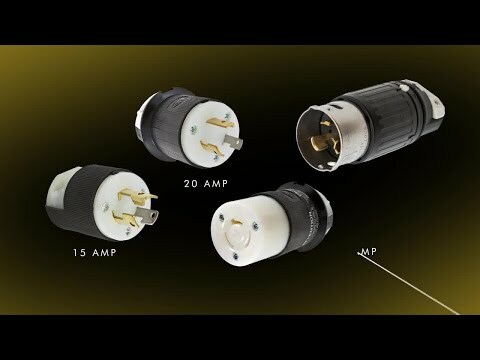 Plug withstands temperature rating of -40 to 75 deg C. Plug is UL listed and CSA certified.